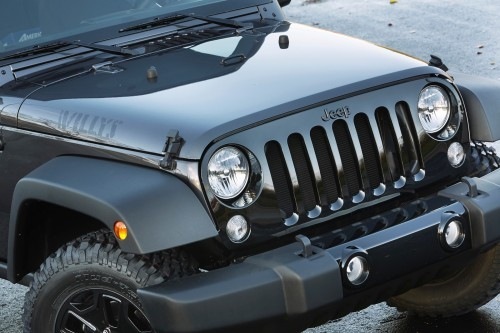 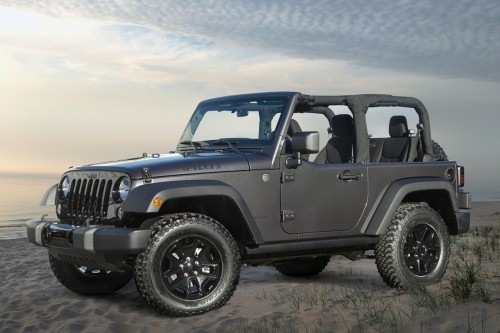 The new Willys Edition is based on the Wrangler Sport. 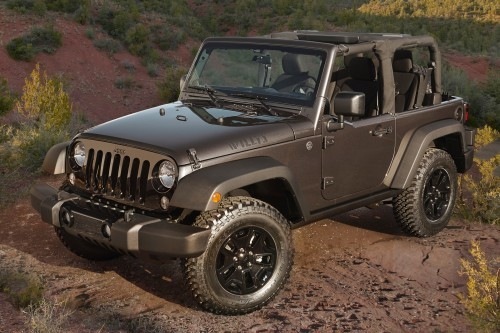 It features upgraded hardware, including a Dana 44 rear axle with Trac-Lok® limited-slip rear differential and 3.73 gears, BF Goodrich KM Mud Terrain LT255/75R17 tires, rock sliders and a new Jeep Trail Rated Kit that includes a D-Ring, tow strap and gloves in a Jeep-branded bag. 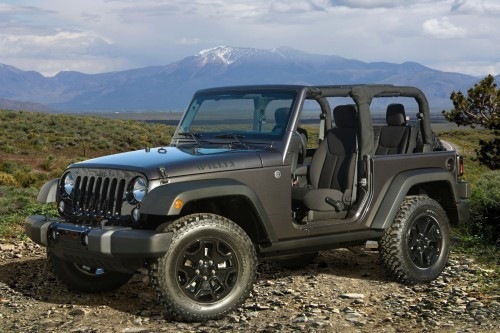 This works with the Jeep Command-Trac 4×4 part-time, two-speed transfer case with a 2.72:1 low-range gear ratio to give the Jeep Wrangler Willys Wheeler Edition its improved off-road chops. 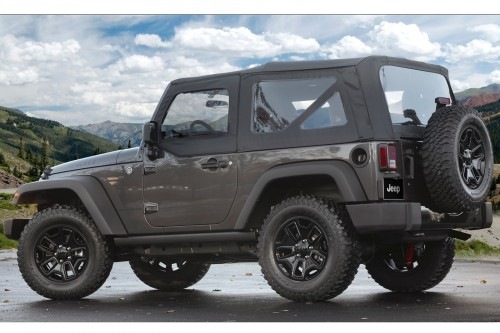 Special exterior design cues include a gloss black grille with black Jeep badge, gloss black front and rear bumper appliques, historic satin black “4 Wheel Drive” rear tailgate decal and “Willys” hood decals and unique high-gloss black 17-inch aluminum wheels. 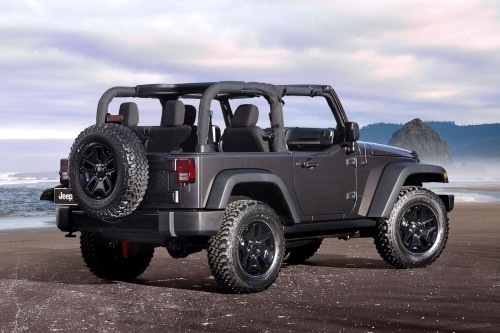 The Willys Wheeler Edition comes standard with a Sunrider soft top with tinted rear windows. 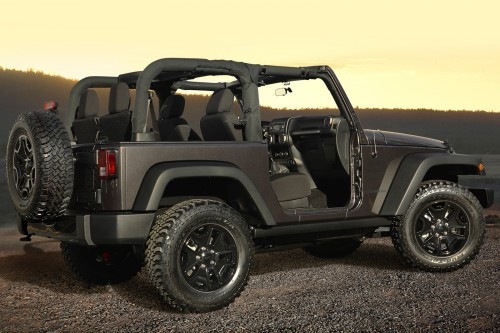 A premium Sunrider soft top and black-splatter Freedom Top are available, and half doors are an option.